How Far is Gee Ge Metro III? 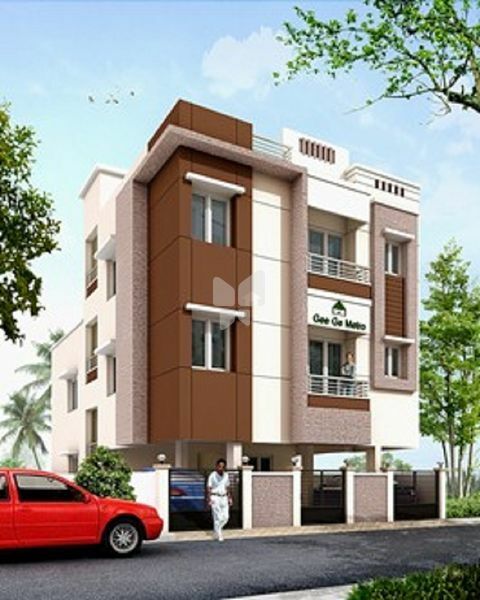 Gee Ge Metro III, another magnificent raise up by the most eminent builder Gee Ge Structurals Pvt Ltd. Gee Ge Metro III is a residential project located at Kundrathur, Chennai. The Project is equipped with quality products and offers 2 BHK Apartments. The project is well connected by various modes of transportation. Ceramic tiles dadoing 3’0” height above platform two taps (Waterman or Nik taps). Common toilet: one white Parryware I.W.C / E.W.C. Attached toilet: one white Parryware E.W.C. with flushing system. We introduce our selves as Builders and Flat Promoters, doing Civil and allied works in and around Chennai and also doing Independent Houses on contract basis.We GEE GE STRUCTURALS established in the year 2000, Initially we Professionalized in Working Drawings, Estimations, Elevation Drawings and Labour Contract, Later in 2003 we started our own promotions in building Flats & Individual houses. Each human looks for their own portion of shelter and invest their hard earned money, savings, efforts etc., to accomplish their dream. While we value the significance of every rupee, our projects are designed to fulfill the basic needs at high standards to make the investment as one time and worth.With all the satisfied families of our customers, GEE GE STRUCTURALS is widening its operation constantly & became a limited company from July 2010 “Gee Ge Structural Pvt Limited”. For those who rates quality for value, we are the best in making your dreams alive – “Making Dreams Alive".